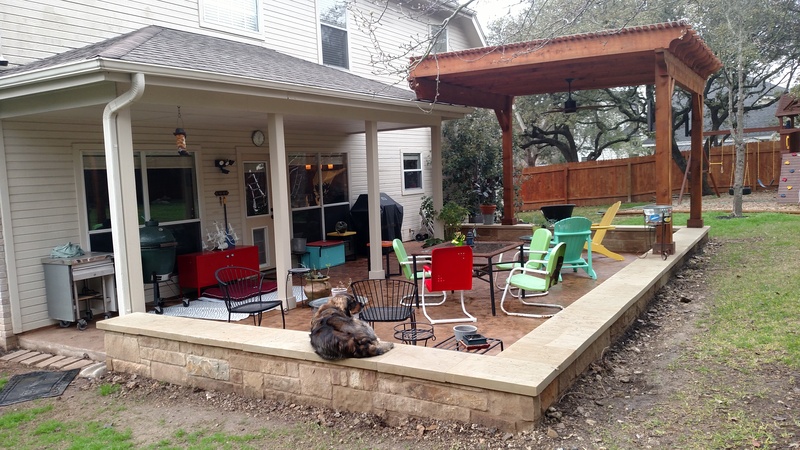 When we took on this project in the NW Austin area off of 620 and Boulder Ave., we didn’t quite understand that all work had to be dog-approved. Luckily we got along well with the family pet, which loves the new bigger-and-better patio and pergola combination we designed and installed. On sunnier days, this pampered pooch probably make its way over to the side of the patio that’s covered by the pergola. We’re betting on that. 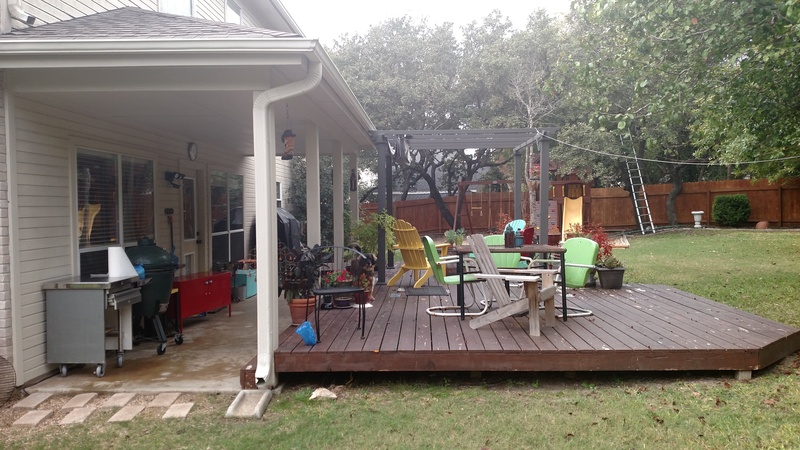 These NW Austin homeowners called patio builder Archadeck of Austin because they wanted to overhaul their patio and deck combination. The low-to-grade wood deck was not aging well and needed to be replaced. The covered patio wasn’t functioning as a patio at all, but more as a place to walk through on your way from the yard or deck to get into the house. The new outdoor living space we designed for the family called for removing the low deck and extending the patio in its place. 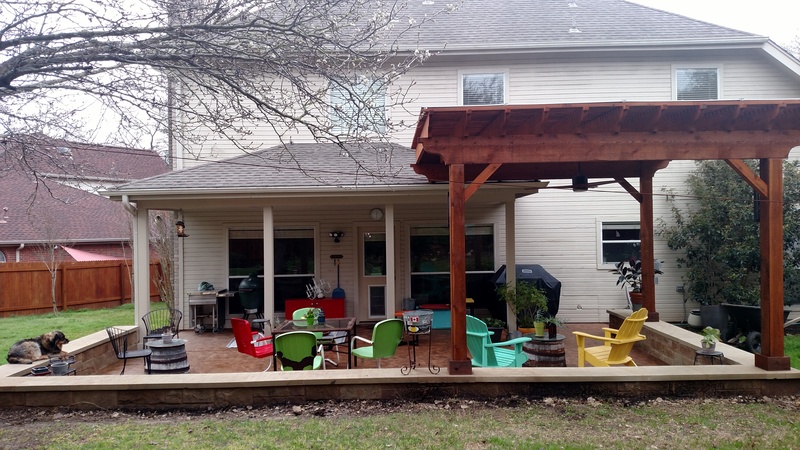 We also added a stone retaining wall that can be used for additional seating, and we built a big, beefy pergola to replace the smaller one they had on the deck. As sometimes happens, when we demo’d the deck we came across hidden conditions the homeowners had not been aware of. The deck had included one wooden step up from the patio to the deck surface, and that step had rotted. The step had been built closely around the original posts holding up the roof over the patio, so the posts had been compromised. They were no longer sound enough to continue supporting the patio cover. To remedy this problem, Archadeck of Austin replaced the four original posts with what are called star posts, technically load-bearing posts that are hollow on the inside. These new posts are specifically designed to carry loads. In this case, the load is the roof over the original portion of the patio. We put a new base around each star post and painted them to match the original color. And … there was more. When we removed the deck we found that water had seeped into a gap where the deck met the house, and the house siding had rotted at that connecting point. Fortunately the homeowner had an extra piece of siding tucked away in the garage. We were able to remove the damaged portion of the siding and replace it with the extra piece. With the siding repaired, we painted the replacement piece of siding to match the house color. So, back to the patio! We extended the patio across the area previously covered by the deck. The homeowners now have a large and truly functional patio. 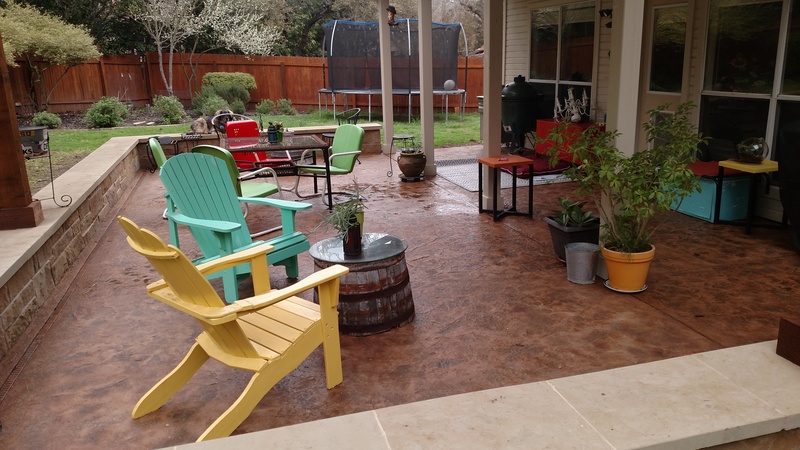 The patio surface is a resilient stained concrete, and we stained the original section of the patio, too, so it would all match. We built a stone retaining wall enclosing three sides of the patio, and that wall has a smooth stone top that also makes it the perfect seating wall if additional seating is needed outdoors. 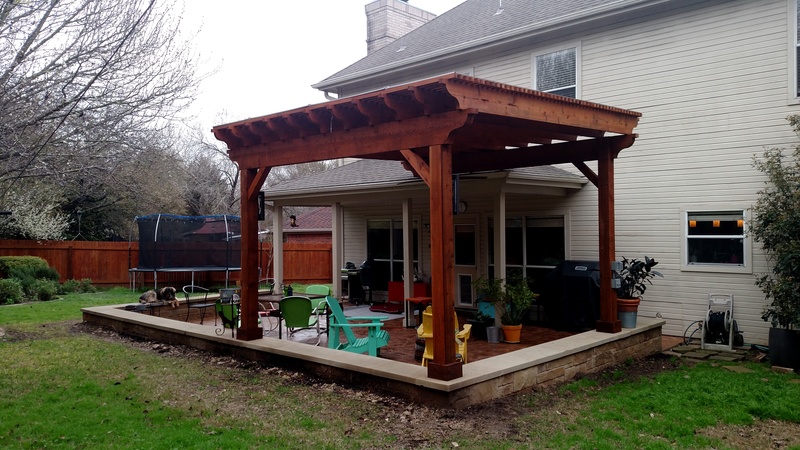 The homeowners wanted a bigger pergola for more shade, and we accomplished that. The new cedar pergola looks extra beefy because we used 2x10s for the rafter system instead of the traditional 2×8″ boards we usually use for that purpose. Finally, we installed a ceiling fan under the pergola and placed sconce lights on the pergola posts for safety and ambiance on the patio after dark. The family dog is truly content with the wonderful new patio, and we believe is fully appreciative of the shade the large pergola will provide once warmer weather sets in. 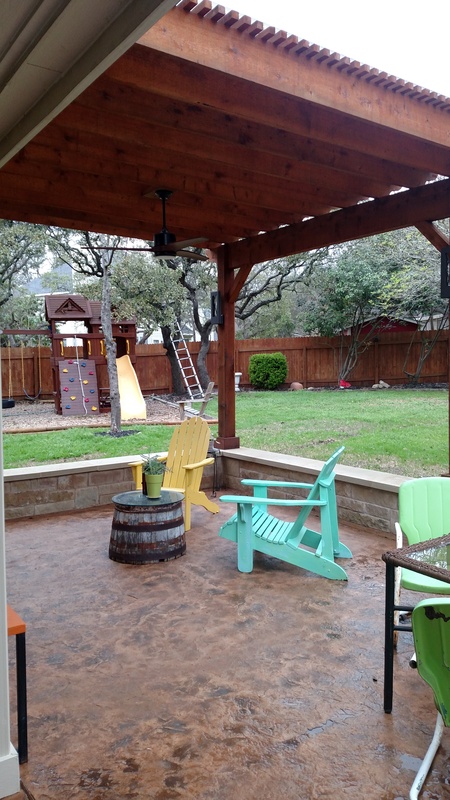 If you would like to talk with us about enlarging your patio or building a combination outdoor living space, contact Archadeck of Austin today at (512) 259-8282 or via email at jim.odom@archadeck.net to schedule a free design consultation. 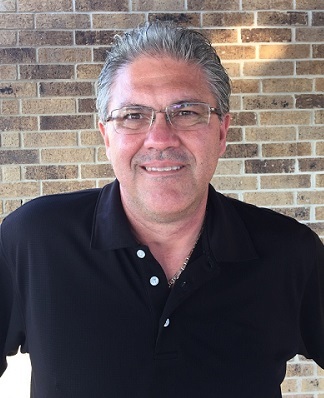 This entry was posted on March 16, 2018 by austinporchandpatio. It was filed under Archadeck of Austin, Multi-structure outdoor living areas, Patios, Patios and Hardscapes, Pergolas, Stain and score patios and was tagged with Archadeck of Austin, Multi-structure outdoor living areas, NW Austin Patio and Pergola Builders, NW Austin Patios, NW Austin Pergolas, Patios, Patios and Hardscapes, Pergolas, Stain and score patios.